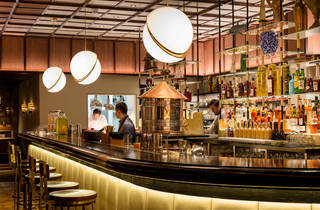 The new bar from the people behind the hugely successful Nightjar. This is the second time I’ve found myself twitching on the RSPB’s website. But it had to be done because the team behind celebrated City cocktail spot Nightjar (as in the squat, nocturnal songbird) have gone and opened another avian-named bar, this one in Smithfield. This particular species is an enigmatic creature with exotic green and yellow plumage, so we’re in no doubt: Oriole is Nightjar’s showy little sister. Oriole bears some of the same ‘speakeasy’ hallmarks. It’s already impossible to get a table at short notice and we were held at the door until radioed in, when a golden curtain was pulled back to reveal a darkened staircase. It is a lovely curtain, though. And there is a certain theatricality to entering this beauty of a basement bar. 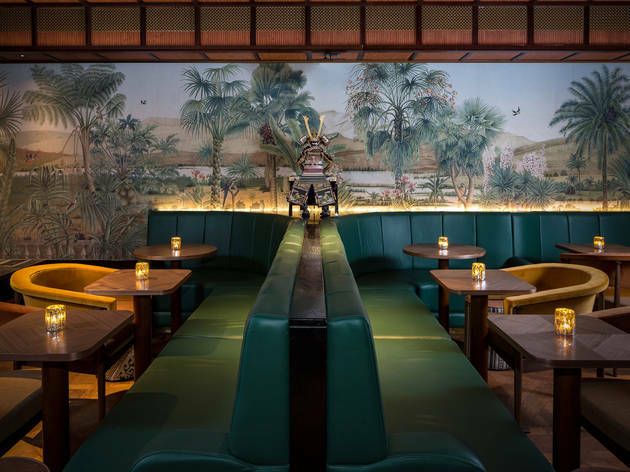 Flashes of on-theme jade and gold in leather and fur furnishings punctuate the room, while a stunning print of a tropical, palm-tree-covered landscape adorns one of the walls. Naturally, a drink here comes at quite a cost. There’s a cover charge for jazz – dearer than it is at Nightjar and harder to avoid, since the music here kicks off at 8.30pm (though it is free on Monday and Tuesday). We also found fault with the bar food: a tempting menu shows promise, but black truffle croquettes (£5) had a sad, gloopy texture and sea bass ceviche (£6.50) lacked depth of flavour. But, of course, you come here for the drinks – and they are so on the money, with cocktails as creative as any you’ll find in London. They’re set out across three chapters: Old World, New World and the Orient – where orioles can be found. 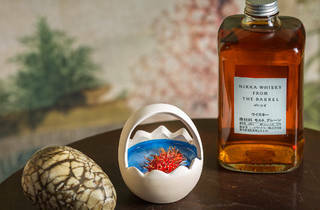 Expect convoluted creations that arrive as perfectly balanced feats of presentation: a gin-based Roman Holiday comes with ‘bamboo forest aroma’. Our waitress informed us that as the scent enveloping the drink wore off, the taste would deepen, and there was a sprig of pine sitting in the dry, citrusy drink for extra impact. The sprig was fine; we were not convinced about the ‘aroma’. 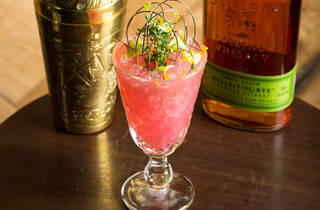 More straightforward concoctions – like the rye-based Everglade, a julep-style drink – slipped down a treat. Both this and the Roman Holiday cost £14, but there are some priced at £12. Book well in advance if you’re feeling as flashy as that eponymous songbird. The surroundings are exquisite and the cocktail flavours, though pricey, should have you shaking a tail feather, but the show-off shenanigans can wear a bit thin. That’s the trouble with little sisters. The menu is a slightly daunting work of art representing all corners of the world. Thankfully, the servers are happy to guide you through the unusual and inventive drinks. The decor is impressively quirky, in a sleek way. Oriole just oozes class... the interior is a cross between the Great Gatsby and Indiana Jones and has a real wow factor. 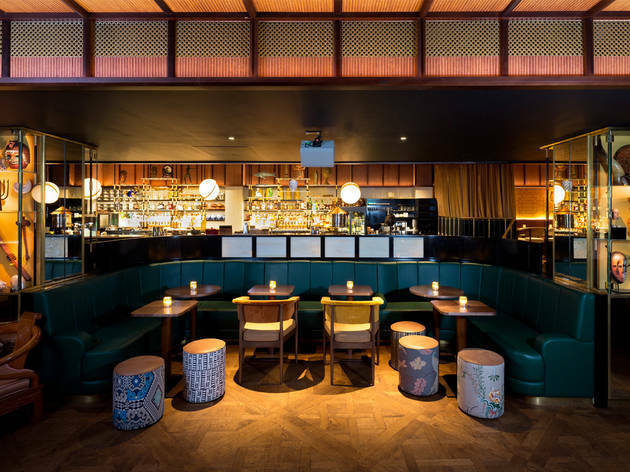 You could easily spend a whole night here, listening to jazz and working your way through the adventurous cocktail list - inspired by places all over the world. 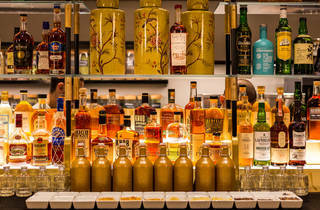 It is expensive, but it's a special treat and a must-visit for cocktail bar lovers! Oriole is hidden in the basement in Farringdon, you feel like you've entered a jungle as soon as you walk in. The interior is indulgent. Be warned you will need to book in advance to get a table. The drinks are so creative with an endless selection of cocktails. They've been mixed with so much thought and are individually pieces of art. There are ingredients on the menu that you've never heard of but luckily there's a glossary in the extensive menu and the waiting staff are on hand to help with any queries you may have. That being said, the cocktails and service aren't cheap. With that, the cover charge for the jazz band make it an expensive night out. Definitely go to visit but make sure you save your pocket money! 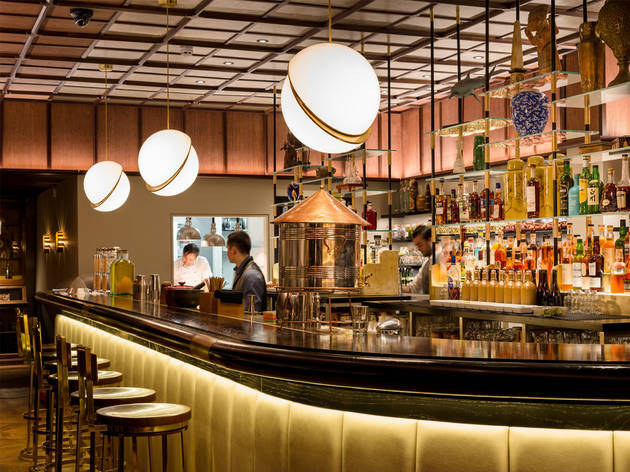 On getting to Oriole at its unassuming entrance near Smithfields market you may be wary but the bar is well decorated and has a great speakeasy atmosphere. Drinks are quite expensive but well made and the nibbles and sharing plates were fantastic. I quite enjoyed the adventurer themed decor which is fun and relatively subtle. A great location for some fancy drinks. The sister bar of Nightjar was never going to disappoint! Equally inconspicuous under the covered Smithfield meat market (romantic I know), there is a door that says Oriole on it. The bar itself is very stylish and low lit with candles on each table and waitresses who take your drinks orders, which is always nice so you don’t have to keep leaving each other unattended to queue at the bar. 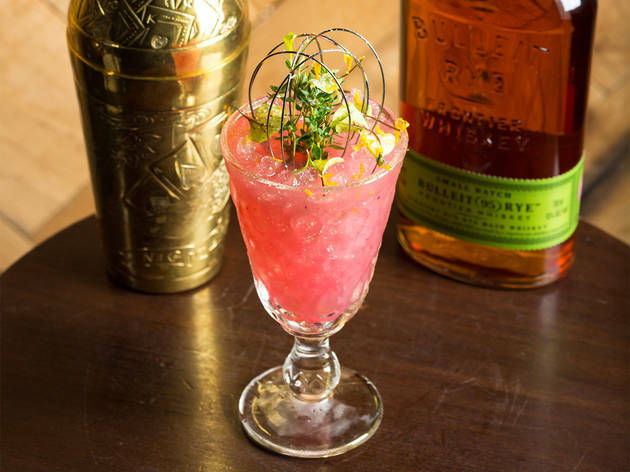 The cocktails are the main draw here with the menu divided into 3 parts – Old World, New World and the Orient in terms of where the ingredients for these cocktails have come from and been inspired by. 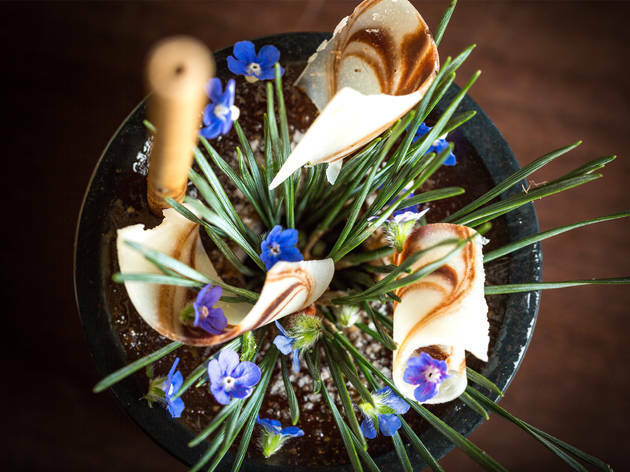 All of them are little works of art with bizarre ingredients including Absinthe treacle, Mustard foam, Korean BBQ Zinfandel and Marzipan Grappa! Many of the ingredients were completely alien to me but there is a helpful little glossary at the back of the cocktail menu telling you what the hell you are actually drinking. The theatre of the cocktails is a great talking point whether you think it’s ridiculous or love it! 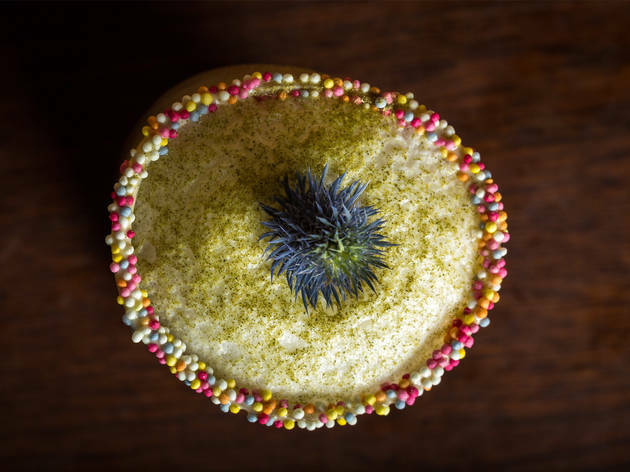 My favourite was the Karachi Sour served in a glass seashell with ‘sea dust’ sprinkled inside so when you went to take a sip you can smell the sea. They start playing live music at around 8pm which there is a £5 cover charge for so its great for an evening with a few cocktails, live music with bar snacks or to go for a few pre-dinner drinks. Cocktails are around £12-£14 each which is understandable when you think about how hard it must be to make Alligator Dust – an actual ingredient. Ridic. 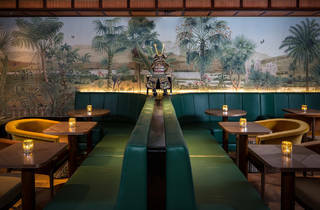 Oriole is an explorer-themed speakeasy bar, with a subdued tropical/colonial vibe and table service-only seating. 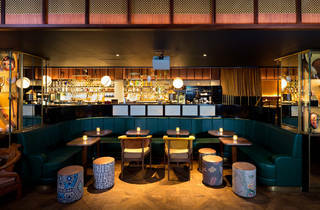 The sister bar to popular Old Street spot Nightjar, it provokes high expectations and demands even higher pricing. Visiting on the Friday before Christmas Eve, we almost had the place to ourselves - which I imagine is unusual. The service was fantastic, and the waitresses extremely knowledgable about the extensive list of cocktails on offer. And what cocktails! Presented in a bound book and categorised into "Old World", "New World" and "The Orient", they are imaginatively concocted and presented. There are some exceedingly strange recipes that won't suit all tastes (the Blood and Bone" cocktail was basically soup!) and you'll definitely want to try more than one. We tried five varieties in our party of two, including one sharing cocktail. Each of them was supremely tasty in its own different way and between us we received our libations in a Peruvian mug, a glass with its own incorporated glass straw, a burning flower and dry ice. It was all rather over the top and utterly entertaining. The drinks certainly pack a punch too, so I can't really go into much more detail about the flavours as I honestly just can't remember! We avoided the main meals on offer (predominantly burgers) and instead ordered a selection of bar snacks. These were tasty, with the truffle croquettes being a particularly moreish highlight. Starters for two, 6 cocktails and a service charge came to exactly £100, but honestly it was worth it. It may not have been one of my cheapest nights of 2016 but it was among the best! If only my living room looked like this bar... I love the style of it! I've been there several times and the cocktails looked like paintings (a bit expensive, but it's worth it), the music is fab, the food delicious and the service lovely. What I really enjoyed was browsing through the cocktail menu - a nice read and if you can't decide what to pick, the staff is really good with their recommendations. Im sure this bar is on everyone's bucket list ! It sure as hell was on mine! Last night we came here for cocktails and a good time! Let me start off by saying that the hostess who took care of us all night was just an angel! She took her time to recommend cocktails according to our preferences. She even brought us some of the components so we could see whether we'd like them or not. If that's not hospitality I don't know what is. The cocktails I had were exotic tasting and delicious. My only criticism is that their cocktails had too many savoury parts to them so those I wanted to try had stuff like mustard and such in them which can be very overpowering. They haven't polished their ideas fully but what they have done is good enough. Oriole has been on the to-visit list since we went to the sister bar Nightjar late-last year. Located under one of the arches of Smithfield market, the entrance is extremely humble, until you enter the dimly lit world of cocktails and sweet tunes. We went on a Monday night so it was fairly empty, but being in a group of four, we brought our own party. Staff was extremely nice and attentive. The cocktails were inventive to say the list. 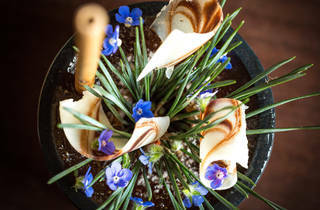 They had thought of inspiring all the senses with aroma, looks, textures, taste and sound through the live jazz music. I wouldn't say this place is expensive because what you get in front of you is worth every penny. The only (minor) negative is the volume of the live music, which can get a bit loud to hold a conversation over. Not sure how Smithfield's can be classified as 'out of the way' but that is a perspective thing based on where you are coming from and where you are going. We came from Soho so it was a simple black cab ride away. I will agree it was quiet, but in its defense it was Bank Holiday monday evening, so not prime time. The staff were warm and inviting, and I give them credit for being able to seemingly pronounce everything. There are three different menus (Old World, New World, and Orient) and we had one from each. I do feel the cocktail are a bit more expensive that Nightjar and seem a bit less showy. I wonder if the unique ingredients are what makes the price what it is? My husband did have a plant in his and I pretty had an ice cream cone in one of mine. Epic. Had some jazz going and despite the emptiness of it, we quite enjoyed it. We remember going into Nightjar on a Friday night and being the only ones there. We were so worried this amazing little place would not last, and look at it now. I feel Oriole will be the same. Oriole was strangely empty and lacking in atmosphere on our primetime Saturday night visit. 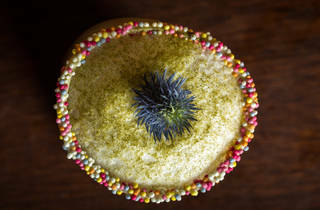 Cocktails were inventive but expensive even for London. Most of the patrons appeared to be tourists and unfortunately no one seemed to be having a good time. As a concept Oriole should be great, but its out of the way location, overpriced drinks and absence of any fun vibe mean we won't be making a second visit. What can you say about Oriole. It is a great addition to the NightJar family. 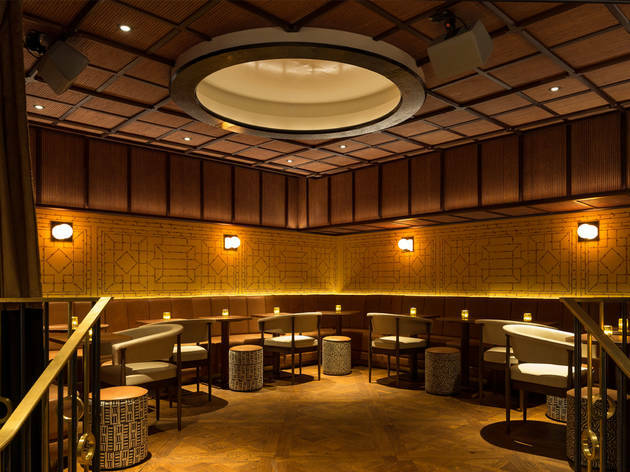 Hidden in the middle of Smithfield Market, this new level speakeasy bar is fantastic. A lot bigger than the older sister, it is a lot lighter and open. Unlike the Nightjar you can sit at the bar at oriole and watch the magic happen of the scientific cocktails coming together. 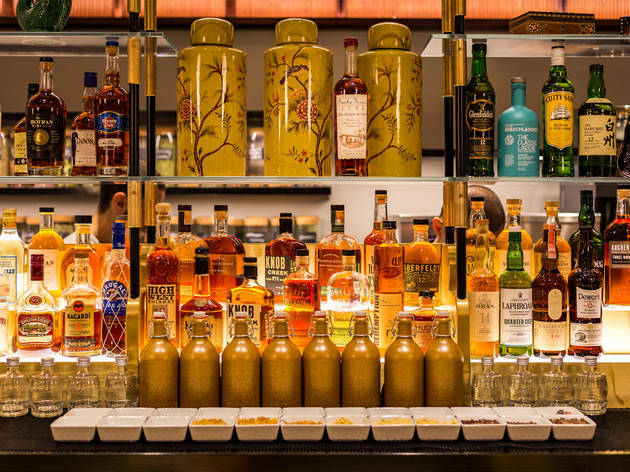 The cocktails are just as good and one that can be recommend is the KUNLUN Shun. 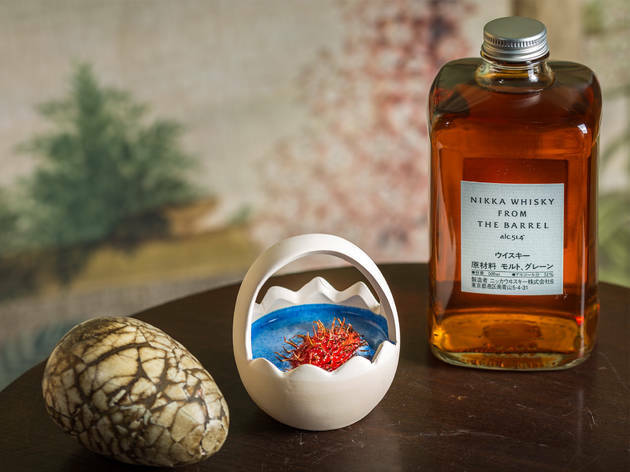 The cocktails are well thought up and the ways of serving them must have been fun to experiment. The food here is not far behind the cocktails, there are some great sharing plates and nibbles. At 9pm every night there is live music which mixes from latin american music to jazz. Really enjoyed my night there. We went with some clients on a tuesday and they were really impressed with the place. Amazing cocktails, great music and ambiance, super friendly service. A really unique experience in London. YES, BAR NIGHTJAR PEOPLE. YOU'VE DONE IT AGAIN!! 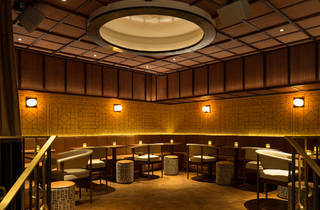 A sister bar Of the speak easy bar Nightjar. This bar is huge in comparison. The cocktail menu is vast, but pricey at around £14 each. The cocktails are phenomenal and a lot of thought has been put into it. They have live jazz bands in the evening and it's a perfect wind down place or a place to catching up with friends and loved ones. It's in a random location of Smithfield meat market, but don't let that put you off. A bizarre location, a weird reception (I had to wait 5 minutes with the bouncer before he could get ahold of someone to say I was coming in to meet my bf who had booked a table), awkward seating arrangements and slow service. Expensive cocktails should really be added to the list but I actually appreciate the effort that went in to them - original menu, obscure ingredients that blend taste with aroma and visually stunning. Unfortunately all errors combined means I won't be returning even though I'm dying to try some of the cocktails on the menu!